Canopy Growth (NYSE:CGC) is leading marijuana stocks news today with a major investment from Constellation Brands (NYSE:STZ). The investment from Constellation Brands that is rocking the marijuana stocks news circuit today comes in at a total of $4 billion. This investment will have the company buying a total of 104.5 million shares of CGC stock directly from the company. The decision to purchase the shares of CGC stock will give Constellation Brands a 38% stake in the company, in combination with its previous ownership. STZ will be acquiring each of the new shares for C$48.60. This represents a roughly 51% premium to the stock’s closing price on Aug. 14, 2018. Canopy Growth says that the investment will immediately give it $4 billion in funds to work with. The company says that it plans to use this money to grow its business in emerging recreational cannabis markets. Canopy Growth’s focus on new markets means that the funds won’t go toward its Canadian business, which is already mature. Instead, the company notes that the funds will be used to grow its business in 30 other countries. The U.S. is one of the countries that CGC will focus on. CGC stock was up 29% and STZ stock was down 7% as of noon Wednesday. 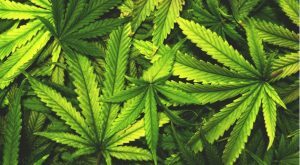 Article printed from InvestorPlace Media, https://investorplace.com/2018/08/marijuana-stocks-news-canopy-growth-up/.